Note the word “censuring”. When BBT International deletes Srila Prabhupada own chosen words and sentences, then they are in effect censuring Srila Prabhupada. Due to intense pressure from tens of thousands of devotees worldwide the BBTI have been forced – against their will – to again print the original edition of Srila Prabhupada’s Bhagavad-gita As It Is. But why support the BBTI, when they use the money to destroy Srila Prabhupada’s books? 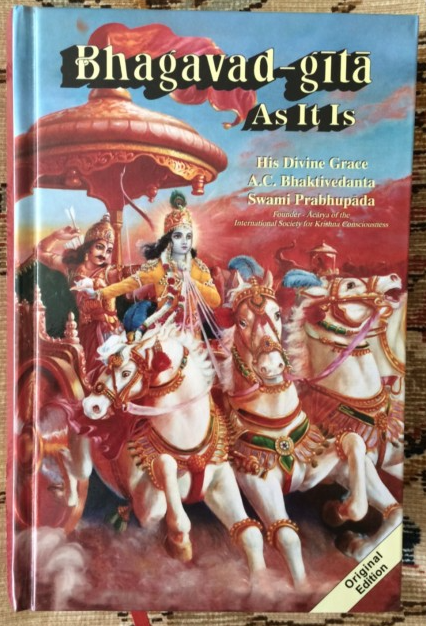 Also, the original edition from BBTI is not as good quality as the one sold from Krishna Books Inc.
My recommendation: Buy your original books from http://www.krishnastore.com or any other shop that sells the original books as printed by Krishna Books Inc. (KBI). Misconceptions have been circulating about the authorship of His Divine Grace A.C. Bhaktivedanta Swami Prabhupada (Srila Prabhupada). For example, it is a mistake to think that his books were written by his editors. The facts demonstrate that Srila Prabhupada translated, wrote, edited, and published his books while using his disciples as assistants. In contrast, the so-called editing of his books without his knowledge and consent is really rewriting by hidden co-authors. Srila Prabhupada is an extraordinary author unsurpassed in history because he translated, wrote, edited, published, and distributed millions of books worldwide, translated in many languages. He trained hundreds of disciples to assist him in this monumental work. Srila Prabhupada created his own publishing house, the Bhaktivedanta Book Trust (BBT). He created his own distribution system of temples, the Life Membership program, and book distributors who developed innovative methods to distribute books. He engaged millions of people in producing, distributing and receiving his transcendental books, and thus engaged them in the pure devotional service of Lord Caitanya’s movement. Srila Prabhupada was a published author before he reached America. In India, without help, he translated, wrote, edited, published and distributed the three volumes of Srimad Bhagavatam, First Canto, the paperback Easy Journey to Other Planets, and many issues of Back to Godhead magazine. He wrote a second manuscript for the Bhagavad-gita to replace his first one which had been stolen. Once he arrived in America, he took opportunities to correct his “irregular composition.” He gave a large stack of papers, his Bhagavad-gita manuscript, to his disciple, Hayagriva das, who had a Masters degree in English. The two of them worked closely together to edit and prepare the manuscript for publication in the United States. 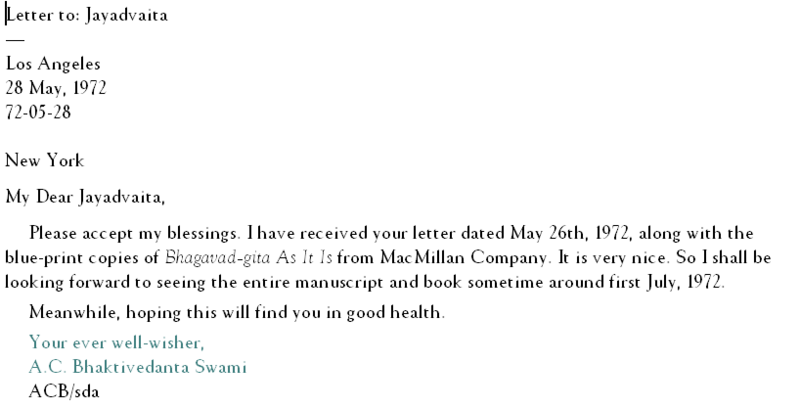 Srila Prabhupada’s published letters reveal an amazing system which he organized to accelerate his writing. He controlled every aspect from beginning to end. And he trained his disciples to assist him in various ways. He dictated translations and purports which his disciples transcribed. He corrected and edited those transcriptions which were then sent to other disciples for more editing. He edited the Sanskrit synonyms or provided them himself. He proofread manuscripts and final drafts. He gave specific instructions regarding illustrations, number of pages, size, paper, binding, covers, printing and costs. He examined the printed books to see if they had been printed properly. He noted his satisfaction and dissatisfaction. If necessary, he ordered corrections for a subsequent printing. Amazingly, he did all this work using personal meetings and regular postal mail while traveling around the world! Srila Prabhupada was a prolific writer – he translated and wrote faster than his disciples could edit and publish. Although he was one person and they were many, they could not keep up with him. For example, he pressured his disciples for years to publish the eighteen volumes of Sri Caitanya-Caritamrta. The manuscripts were written, but the editing, illustrations, and publication progressed slowly. The first published volume appeared in 1973. A year later, another volume was published. He overcame BBT’s lethargy in 1974 by forcing the Los Angeles temple into a marathon to prepare the books. And he personally stayed there to assist the editors. 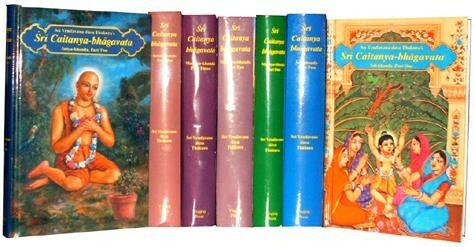 By his efforts, the entire Sri Caitanya-Caritamrta was finally published in 1975. Other books took longer. In 1972 he ordered the publication of a paperback based on recorded conversations. “I think we are just now typing up the tapes of those conversations we held in Mayapur, and we shall be publishing them as a book. It will be called Perfect Questions, Perfect Answers.” (Letter from Srila Prabhupada to Bob Cohen, June 16, 1972, reprinted in the book) Five years later, the small paperback was published and ready for distribution. It is clear that Srila Prabhupada was the author of his books, and the editors were his assistants. Also, he fully controlled the editing and publishing process. For his books, he determined the content, meaning, purpose, audience, style, illustrations, binding, paper, publication dates, etc. So why do some, including some BBT editors, erroneously claim that Srila Prabhupada did not really write his books? Why do they mistakenly refer to “Hayagriva’s Bhagavad-gita” instead of “Srila Prabhupada’s Bhagavad-gita?” The answer is that they confuse writing with editing. Factually, editing is not writing because editing polishes something already written. First the author writes, and then the editor edits. First, Srila Prabhupada wrote the translations and purports for Bhagavad-gita, and then Hayagriva edited them. Writing creates the content, meaning and purpose. Editing polishes that work to make it more presentable to the readers, but editing does not change the author’s meaning and purpose. Srila Prabhupada created the transcendental content of his books. He conveyed the meaning of Krsna consciousness within the Vaisnava parampara (disciplic succession). And he imbued his books with the purpose to spread Lord Caitanya’s mercy all over the world. Srila Prabhupada’s books contain his potency to transform sincere readers into pure unalloyed devotees. To assist him, Hayagriva polished the Bhagavad-gita manuscript by correcting the irregular composition without changing Srila Prabhupada’s meaning and purpose. Editing differs from writing because the editor suggests changes and consults with the author for approval. Hayagriva proofread the Bhagavad-gita manuscript. Proofreading is the process of finding and correcting errors in spelling, conjugation, capitalization, grammar, syntax, italics, etc. as well as conformity to the publisher’s format (font size, margins, indentations, footnotes, etc.). Hayagriva also suggested other changes to the manuscript. Like a good editor, he discussed the changes and asked for Srila Prabhupada’s approval of them. Other disciples acting as editors followed the same approval process with other books. It is clear that Srila Prabhupada wrote his books and that Hayagriva and other disciples edited them. Another misconception is that Srila Prabhupada’s books can be edited without his knowledge and consent. This is erroneous because, as explained above, editing requires discussions and approval from the author. And the author makes the final decisions about what is published. Therefore, no editing can occur especially after Srila Prabhupada’s disappearance (in 1977) because he is no longer available for consultation. The only exceptions would be found in his orders for specific changes to specific books. Regarding the unfinished Srimad Bhagavatam, he personally trained and assigned only Pradyumna das to finish the translations and purports. Those familiar with Srila Prabhupada’s management understand that he would have given important orders to change his published books to the BBT Trustees, the GBC members, and Pradyumna, his highly qualified translator. 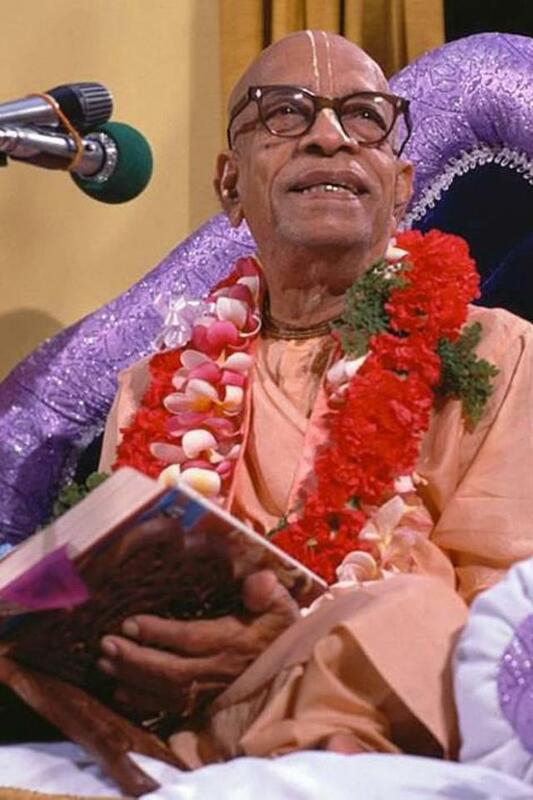 So why are there no orders from Srila Prabhupada to his important leaders? Why would he grant permission to rewrite his Bhagavad-gita to devotees who were not important leaders before his disappearance? What is so-called editing that is independent from Srila Prabhupada’s order? Factually, it is not editing, it is rewriting of his books. The so-called editors are acting like authors. They are really co-authors because they are rewriting books written by another author, i.e., Srila Prabhupada. And, they are really hidden co-authors because they rewrite his books while hiding behind the good name of His Divine Grace A.C. Bhaktivedanta Swami Prabhupada. The hidden co-authors present their own translations and opinions hidden within Srila Prabhupada’s books. In contrast, honest co-authors always publish their names, and sometimes they describe their individual contributions. In any case, their readers understand that two or more authors wrote the book. A famous example of co-authoring is a book about grammar and writing, The Elements of Style by William Strunk Jr. and E.B. White (Fourth edition, 2000, published by Longman Publishers). In it, White explained his role as co-author and his changes to Strunk’s original book. White also claimed credit for writing the section on style. The problem of hidden co-authors even occurred during Srila Prabhupada’s physical presence. Some disciples deviated from the honest relationship between Srila Prabhupada as author and the disciples as editors. Such persons changed his manuscripts and printed books without his permission and knowledge. After discovering these unauthorized changes, Srila Prabhupada strongly chastised the persons involved and demanded the removal of the changes. For example, during a Srimad Bhagavatam class, Nitai das read a manuscript translation which contained unauthorized changes. Srila Prabhupada: Who said in the manuscript? There is no three times. Not “Narayana” three times. One time, “O Narayana,” that’s all. So did I say “three times?” No, it is not said here. You should correct it. Once, “O Narayana,” that’s all. There is no reason of calling three times. There is no mention here. Once is sufficient. (laughter) …Uccair ajuhava, very loudly, “Narayana!” Like that. That’s all. Uccair ajuhava akulendriyah. So you edited it? Not yet? The stark contrast between the two versions clearly indicates that they were written by two different authors. Srila Prabhupada wrote the original version, and the hidden co-authors wrote the later version. Other Bhagavad-gita verses in the rewritten, 1983 edition display similar changes. The hidden co-authors substituted a lower level writing style not intended for college educated readers. Therefore, the change in writing style indicates a change in audience, the intended readers. Srila Prabhupada wrote for a college-educated, more intelligent audience; whereas, the hidden co-authors wrote for a less intelligent audience. Why do the hidden co-authors claim to be better translators and commentators (purport writers) than Srila Prabhupada? What are the hidden co-authors doing when they change the philosophy and preaching plans in Srila Prabhupada’s books? What is their purpose? The hidden co-authors usurp Srila Prabhupada’ property, his books, by making changes not authorized by him. They seize and hold his books by force without the spiritual right to do so. The hidden co-authors force changes without any order to do so. They blatantly disobey his direct order to maintain the books as originally published. They use BBT money and diplomacy to defeat opposition to their usurpation. The hidden co-authors behave like squatters who forcibly and unlawfully take over someone’s property and use it for their own purpose. The hidden co-authors mislead the devotees and the innocent public by publishing their own opinions under Srila Prabhupada’s good name. What is their purpose? They are acting like hidden founder-acaryas because they rewrite sastra (Vedic scripture) intended for the next 9500 years. Because they reject Srila Prabhupada’s order to maintain his books as published, they freely inject their own opinions. On the basis of this instruction, sincere devotees have the duty and the right to reject all co-authored changes to Srila Prabhupada’s books. We must follow Srila Prabhupada, not the hidden co-authors because he can liberate anyone who follows him. By following Srila Prabhupada, we can make spiritual progress and preach Lord Caitanya’s movement all over the world. And Srila Prabhupada, through his Prabhupada-vani – his books and teachings, can take anyone back home, back to Godhead. **This instruction was followed in 1972 edition. When challenged why the changes were made later in the 1983 edition, after Srila Prabhupada’s disappearance, the following reply was received. I asked Srila Prabhupada whether the sequence of items mentioned in the verse (which to me seemed inconsistent with the Sanskrit) should be changed. He said no. Respecting his order, I left the verse as is. Srila Prabhupada gave a very specific answer to a very specific question. Someone now wants to extend Srila Prabhupada’s specific answer to make it a general order to the effect that not a word of the purport should be changed. And so the obviously erroneous “regulated principles” — a term that makes no sense — must be forever preserved, and not revised to the usual and sensible “regulative principles,” lest we stand in defiance of Srila Prabhupada’s sacred order. Actually in 12:12 Srila Prabhupada is referring to the general practices or regulations of devotional service or Bhakti Yoga, not simply the “four regulative principles”. Srila Prabhupada preached heavily against the mayavada concept of ‘merging’. For SURE he did not use the ‘merge’ word in this verse. 1. Science of Self-Realization was published after the departure of Srila Prabhupada. But it was made on his order. Bhagavad-gita 8.18 was, however, published in Beyond Birth and Death (published while Srila Prabhupada was here) and a Back to Godhead magazine from 1974. 2. Actually Srila Prabhupada used the word “merge” in his original and authorized Gita (like in 2.54). So the most important point here is that Jayadvaita Swami has added words (like merged, manifest, unmanifest, state, falls etc.) to Bg. 8.18 which Srila Prabhupada did not intend to be in Bg. 8.18. Jayadvaita Swami is therefore not telling the truth when he claims he has made the Gita “more faithful to Srila Prabhupada” or “closer to Prabhupada”. Jayadvaita Swami has made a new translation of the Gita and published it in Srila Prabhupada’a name. Srila Prabhupada preached heavily against the mayavada concept of `merging´. For SURE he did not use the `merge´ word in this verse.